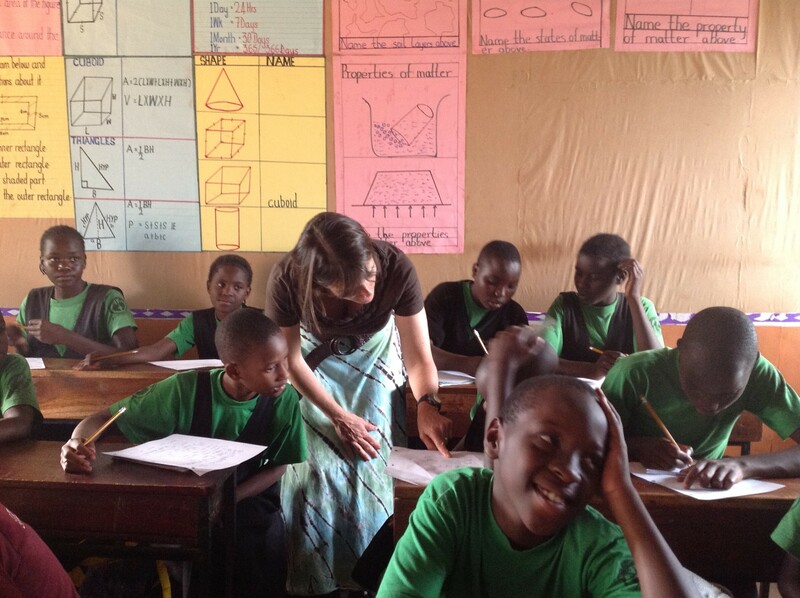 This is a follow-up to A Summer of Service for French Teacher in Uganda. 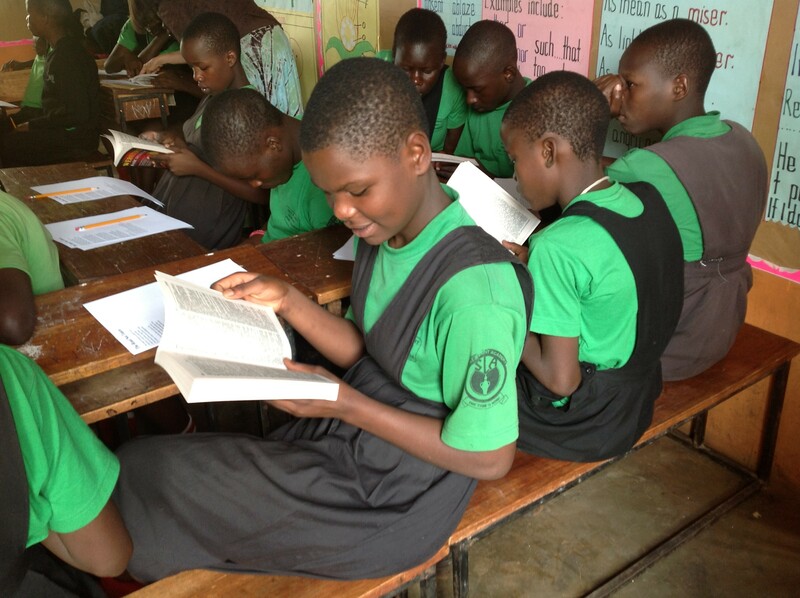 Mary has been in Uganda for a couple of weeks now and her adventures continue! 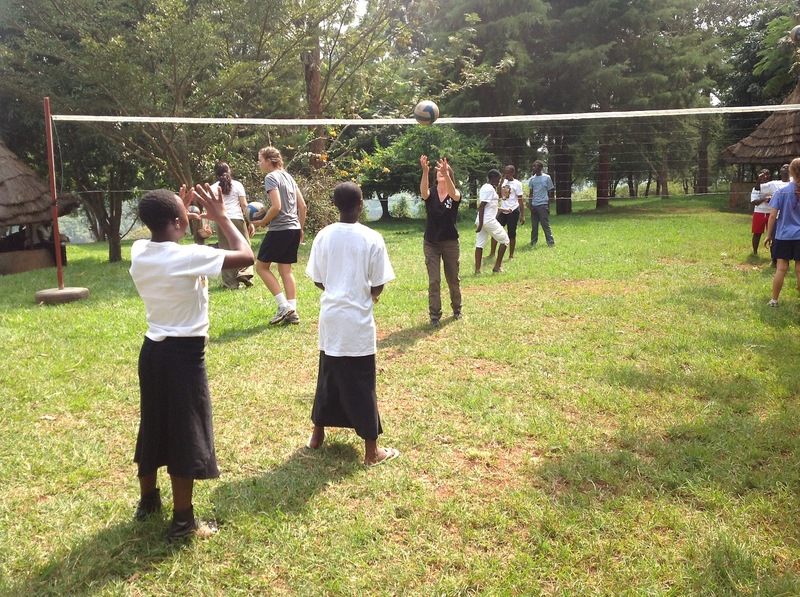 Here are two brief updates from Mary with a few more pictures of working with students at a school and volleyball clinic. The Salt and Light Academy represents progressive education here in that children are disciplined through relationships and words and caning is not permitted as it is elsewhere. It’s an independent day and boarding school founded and run by Ugandans. It is one of the best primary schools in the Jinja area. 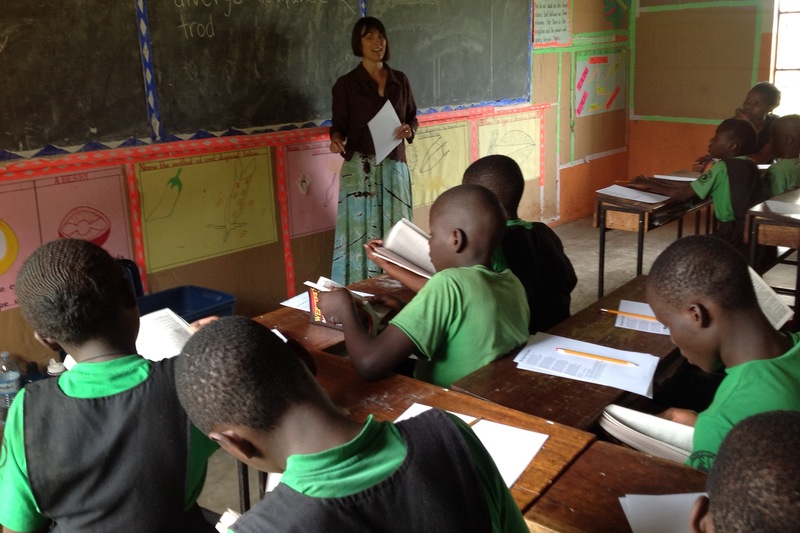 I taught students in primary grades 3 – 6, working with them on reading and thinking skills. Critical thinking is a new style of learning for Ugandan primary students since their education system is based on rote memorization. Students must pass a national exam at the end of primary 7 in order to be permitted to attend high school, reciting verbatim the answers they have learned in class. For the weekend, I’ll be working on my volleyball skills as the group from Santa Barbara runs a skills clinic for high school students in the Jinja area. We spent a day with high school students from Lord’s Meade Vocational College, introducing them to the game of volleyball. Members of the Dos Pueblos high school team from Santa Barbara and a coach from the Santa Barbara Volleyball club ran the clinic. I’m picking up some Lugandan words and to say “no worries” is “tawali mutawana.” So I wish you tawali mutawana during your summer break!